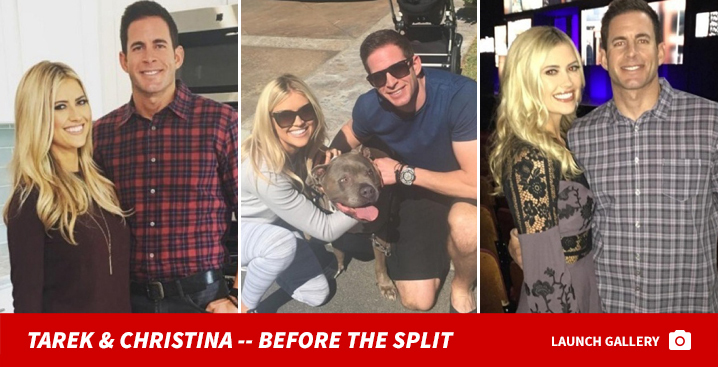 Tarek & Christina El Moussa No Dough Off 'Flip or Flop' Spin-Offs ... We're Just Hired Help! "Flip or Flop" stars Tarek and Christina El Moussa paved the way for 5 new spin-off shows, but they won't make a dime if they become ratings hits. Sources close to production say HGTV told the El Moussas a year ago they planned to spread the franchise to other cities. We're told execs did it as a courtesy to the couple -- they are the OGs, after all -- but they didn't really have a say. We're told they were fully aware there would be no bonus in their stockings for the expansion. Our sources say there's no truth to reports the spin-offs are intended to phase out Christina and Tarek -- and execs think the new shows could make their brand stronger.